Are Zuckerberg and Page Going to Channel Gates and Jobs? For years people thought that Amazon CEO Jeff Bezos would be the next leader of technology. However unlike the Gates-Jobs rivalry, the Amazon chief doesn’t have a foil – a clear competitor who he can be measured against. 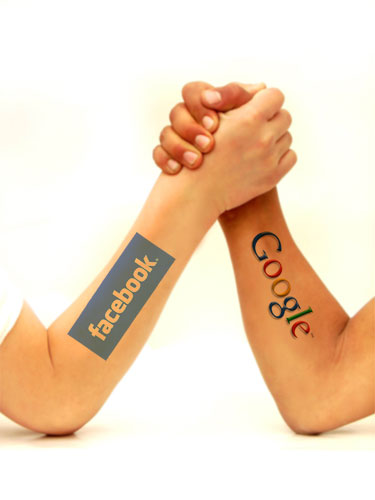 Facebook’s impending IPO will give Facebook the resources necessary to compete with Google. Zuckerberg and Page have already gone toe-to-toe on several initiatives including mobile computing and social networks. However Facebook appears to be approaching the fight with an integrated approach that co-ordinates Microsoft. In particular Facebook appears to be comfortable working with Microsoft’s Bing to compete with Google’s search services. To read about other areas where Zuckerberg and Page have competed in the past, as well as which tech luminary each will be channeling click here.